When my kids saw the gripper on the front of the Arcbotics Sparki robot they immediately went to find some small soft toys that the robot might be able to pick up. 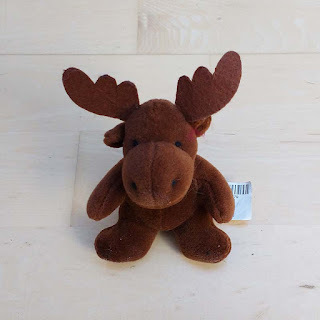 We hoped that Sparki might be able to pick up a small teddy and move it to another location. The robot exceeded our expectations and we made the project more ambitious. When we reviewed Sparki we used the miniBloq graphical editor. We tried using miniBloq for this project but couldn't get it to connect to Sparki this time. 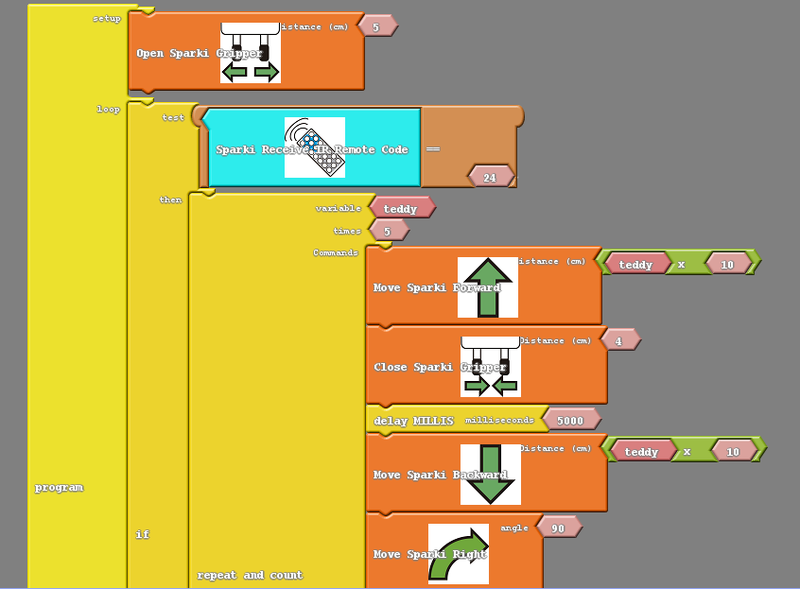 The SparkiDuino Arduino editor was working fine and that includes another graphical tool: ArduBlock so we gave that a try and we're glad we did. It's not the prettiest of tools, but it's fairly intuitive to use. 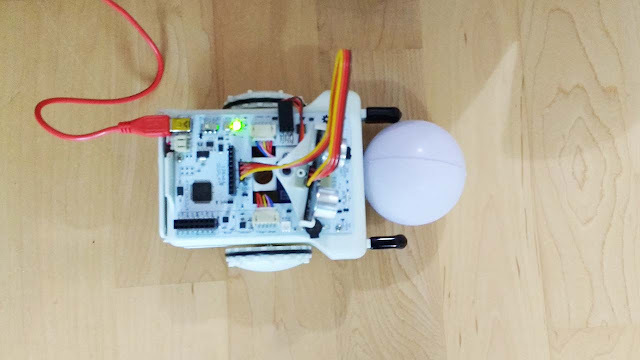 My kids decided that they wanted to program Sparki's gripper to move a soft toy out of danger to a safe location. We started off by just moving forward closing the gripper and then reversing and releasing the gripper. We tested a few mini stuffed animals and adjusted the amount that the gripper opens and closes by until the result was reliable. Next we decided to have the robot drop the animal off an a different location and then move away. That worked and the animal even remained standing up! 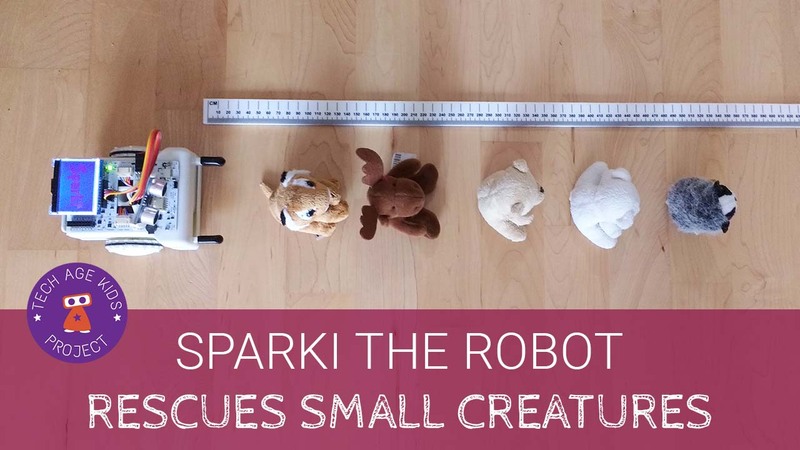 By this point we'd worked out that Sparki is very consistent compared with other robots we have used so we decided to increase the challenge. We were really surprised how well this worked. 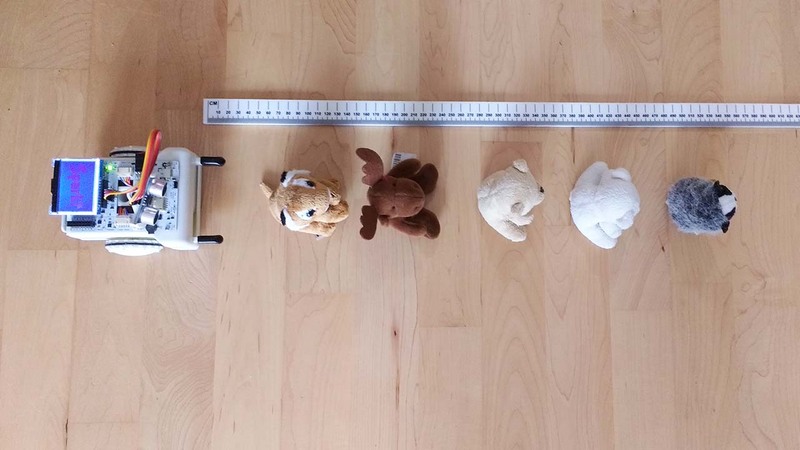 We removed a couple of toys that tended to fall over when Sparki released them, but it did pretty well even with some that we had to carefully balance to put them in line. As long as we had Sparki and the toys lined up well at the start, the robot could relocate multiple toys reliably. We set up the program to start work when a key is pressed on Sparki's remote so that we could disconnect its cable. The ArduBlock editor was intuitive to use. The only thing we found a bit tricky was understanding that we had to add delays so that Sparki didn't move while the gripper was opening or closing.